Young culinary talent in Chichester saw an inspirational morning at Ormiston Six Villages Academy on Tuesday last week. The regional Create & Cook Competition visited the school to run an inspiring workshop for those keen to enter the contest in 2019. Young cooks aged 12 to 14 are challenged to create a two-course menu using as many local, seasonal ingredients as possible. The aim is to celebrate local food and learn about seasonality and sustainability. 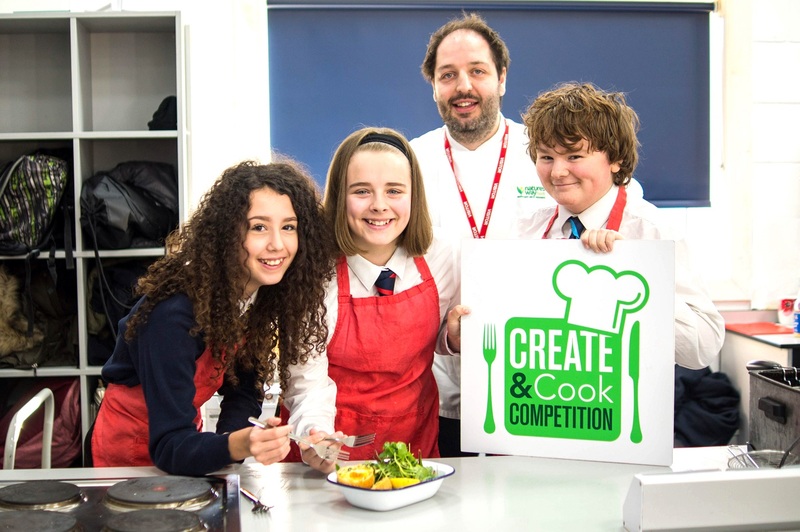 For 2019, the Create & Cook Competition in the south is sponsored by Chichester-based Natures Way Foods, and their development chef, Kristian Wright, gave the school a treat by demonstrating a delicious crab scotch egg with seasonal salad and a dressing. “We have so many fantastic ingredients on our doorstep and I really wanted to spark the young cooks’ creativity by cooking up a dish using wonderful local Selsey crab!” enthused Kristian. Min Raisman, from fit2cook food education, who runs the competition, accompanied Kristian to Ormiston. They will also be visiting The Regis School and Angmering School. Young cooks enter the competition through their school food technology department and the closing date for entries is Friday, March 29. There will be southern final in June, with cooks from schools in Sussex, Hampshire and the Isle of Wight, at Newlyns School Cookery School.